The Raoul Bridget Leather Saddle Bag is a large saddle bag with a flap over top which is curved with cut out detail and has a self coloured D-ring fastening. 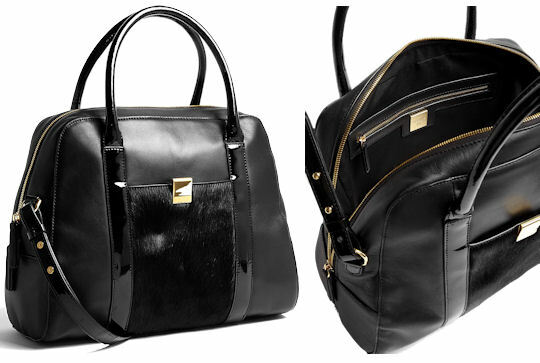 The bag has an adjustable leather shoulder strap. 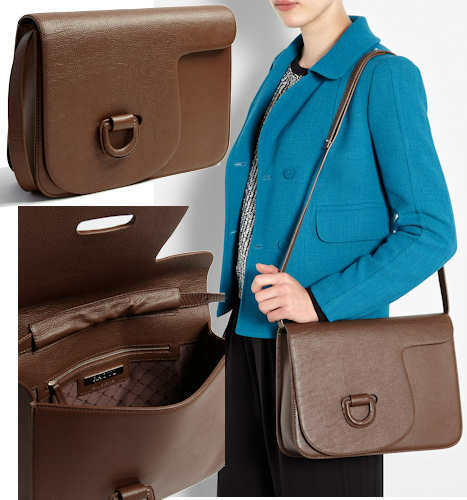 Inside, the bag is fully lined in brown logo print fabric and there is a leather trimmed zip pocket with designer metal plaque and two open pockets. This is a spacious, structured saddle bag, beautifully constructed from chocolate brown leather, which is perfect as a daily use handbag. It’s plenty big enough to carry everything you need throughout the day and this timeless style with stay fresh and eye catching for many seasons to come.